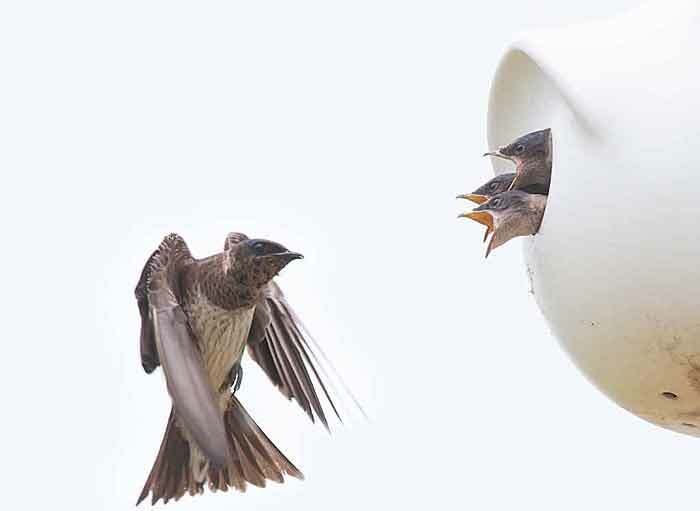 It has been a really hot summer for our founding pair of purple martins. Here is the father with his three babies, on the day before they fledged. The temperature reached 109 degrees F. that day. But they made it. All three of them. Our purple martin colony is launched at last.